Understanding your Gorilla Trip inquiry. Common Gorilla trekking worries and needed Advice. With decades of helping tourists to enjoy the best of their lifetime tours, time spent on the Greatest of the current Wildlife trails of the whole world cannot be taken for granted. People take longer to make gorilla trekking decisions, they save for years and after this getting the right information about this rare mountain gorilla trekking can be a challenge. An adult male Mountain Gorilla silverback climbing atree to grab marianthus fruits for breakfast inside bwindi south at Rushaga sector. The tourist agony is when people supply them with wrong information and this becomes the a challenge to plan and expect the best in the first case, but feel at ease niow while reading this article. With your reservation experience officer at Instinct safaris, we make sure every Trip Enquiry is attended to in details with timely and accurate information. For every Mountain Gorilla trip to be comfortable, exciting and professionally conducted, we advise you to do enough research and always recommend advance booking for a period not shorter than six months. In here we hope these blog posts will Help You while Planning for your safari to the mountain gorilla experience; we hope you will get out of the common mountain gorilla Trip worry. Tourists are worried about the Price of Mountain Gorilla Trekking Safari: Our potential tourists always put it forward that “Gorilla Trekking is too expensive”. This tourist activity of Mountain Gorilla Trekking is mistakenly assumed to cost too much, now let us discuss this as Compared to what? When tourists value Gorilla encounters in terms of commodities or like other trip activities, that becomes the main center of the problem. Gorilla Trekking costs too much – Compared to what? All sorts of tours can easily be compared in Africa but time spent on the Greatest wildlife trail of the Planet while encountering the Gorillas cannot be compared with any safari style anywhere in Africa and the whole world. Tourists need to understand that, Trekking these Gentle Giants is done inside their natural homes-forest and only in 3 Countries on the planet, when you visit them you conserve them. A mountain gorilla tour is a wildlife conservation strategy which has yielded tremendous fruits of a well-managed responsible Eco-tourism. The Gorilla conservation mission after highlighted by Dian Fossey, the wildlife conservation fraternity now boosts of an increment in Mountain Gorillas population. This is a three way conservation trend involving the Governments, local people and foreigners activism as awhole. Tourist visits are forms of daily wildlife patrols for monitoring and research, sometimes your treks are accompanied by teams of wildlife doctors ascertaining their daily health and researchers doing Gorilla census alongside ranger. Tourists to the gorilla lands are also known not to leave their skills at home while travelling, one time a tourist identified a deformity on one of the newly born gorilla baby in Bwindi during the trek. Gorilla tours are major source of all the funding needed to pay salaries and allowances for rangers, what about habitat management. The gorillas live in forested regions and the locals do get safe water projects and other better community health care facilities as this lowers the risk to transfer diseases from the local residents to gorillas. Tourists need to understand that it’s possible to pass on diseases due to sharing close bonds with gorillas trailing at 98 percent of DNA. While these Mountain gorilla homes were being conserved into safe and free wildlife habitats in 1990, it’s unfortunate that local people had to loose their land and to make the project sustainable for both people and the gorillas this must be catered for in terms of subsidies and the permit fees paid by every tourists bears a percentage which meets such needs in the communities affected in form of compensation. As the conservation authorities looked forward to harmonise all the procedures needed for Mountain gorillas conservation while delivering the best service to tourists, the fees were levied which we call Gorilla permit fees. In Rwanda you can trek to the volcanoes for mountain gorilla encounters at 1500$ a permit, in Uganda the permits is 900$ less than in Rwanda and in Congo Gorilla trekking permit is sold at 400$. All the three countries are all the year destinations and the choice remains yours. You cannot compare a Mountain Gorilla Trek to any other travel experience. Add to that, Mountain gorilla trekking is only doable in natural forests of Uganda, Rwanda or D.R.Congo and not in any zoo in the world since Mountain Gorillas cannot live in zoos around the world. They are adaptive to the Albertine Rift conditions to survive. Mountain gorilla trekking is a cheap strategy to save an endemic and endangered species from extinction, not like other safari experiences. You cannot simply drive or walk to trek to the mountain gorillas, this is an act that starts with morning briefings about the dos and don’ts, then you are guided to follow a trail inside the tropical rain forests. Every trails is utilized once and allowed to regrow, you’re allowed time from one hour tracking to awhole day experience to observe, photograph, learn, ask questions and you have time to enjoy all the biodiversity of the forests. What about the cool carbon free oxygen as you trek? Trekking to the Mountain gorillas cannot be complete without meeting the locals, the keepers of the forest who left them for you and me. Gorilla tours are beyond safari styles but renowned conservation ideas. In case of more questions, feel free to request for more details here. There are trekking tours leaving every day in both destinations from Monday to Sunday and January to December. Karibu! Two common Africa trip questions:Safari to Uganda. Nature lovers coming to spend their holiday in Africa are truly mesmerized with the continent’s varied array of wildlife, what about the amazing landscapes. Do you know that an African safari is always warm and mostly on Uganda tours? Tourists coming to Uganda on every itinerary will not escape meeting hospitable local people who welcome tourists into their region and happily show them around. Tourists celebrating success at one of the highest peaks of MT.Rwenzori,Margherita Peak the highest peak rising to 16,795 feet (5,119 m). Safaris in Africa today are different from the ancient and old fashioned African safaris that were only about Big game hunting, this is where words like big four, big five or big six were very much common. Even though these phrases still dominate the African safari styles, today holiday makers will find having a lot of opportunities on their travel desk and every safari is a conservation effort. Yes! More will still choose Africa as their travel destination of choice due to amazing wildlife some which are only restricted on the continent for example the Mountain gorilla families which are presently considered to be the major highlight of the Greatest wildlife trail on the planet. When you visit them, you support them and monitor them hence effective conservation: A safari in Africa today is one of the responsible procedures to conserve for generations, when you visit them, you support them and monitor them hence effective conservation of these threatened species. Tourists numbers in the high season tend to rise and this has positively brought wildlife crimes like poaching quite low, whereas in the low season some Savannah parks do report high rise in wildlife crime rate because some places are vacant for such illegal activities like poaching to take place. Tourist's hands on the community experince-travelling like alocal! Today safaris to Africa will make sense when they are pro-people and this is the joy of a well-managed responsible Eco-tourism. Locals have an active role when it comes to responsible tours, they are your safari guides and they form a network of reputable hotel managers and thanks to more hotels who have truly embraced this strategy other than acquiring labor force from abroad. Locals are your community guides; they will sell you crafts and other tourist amenities etc. Wildlife enthusiastic tourists coming to spend their holidays in Africa will find the current version of safaris quite rewarding and responsibly conducted, from your airport reception to hotel transfers and daily safari game drives tourists will find that trips are environmentally controlled. Through all our entire reservation procedures, we guarantee our clients 24 hrs support at our both reservation desks either in Uganda or at our major getaway in Switzerland either by phone or email, for the last decade we came to note two major common questions mostly asked by holiday seekers to Africa and majority coming to Uganda. With our understanding of the responsible travel market trends and indigenous knowledge on tailored forms of versatile Eco-tours, we take time to reply as follows and we hope this can help you while preparing for your trip to Uganda. What is the likely cost for a safari in Uganda? There are three most important elements that affect the price or cost for a Uganda safari. These are tourist choice of trip activities, mode of transport and accommodation. As you book your trip, ask your agent about the available hotel or lodging options among the classifications of budget, mid-range and then the luxury. Some lodges change as high as $ 900 dollars per night and the budget ones can be as high as about $ 150 per night. With budget accommodation, expect a basic room with just a simple bed! We found more tourists calling it travelling simple and smart. The luxury is always the best idea with almost all the best hotel facilities available for you. When talking about the activities, tours to Mountain gorillas are still considered to be the most quite rewarding but expensive with a single pax mountain gorilla trekking permit costing 600$ in Uganda, 1,500$ in Rwanda and 400$ in D.R.Congo. Next to consider is the mode of your transport between the 4x4 safari vehicles, these includes safari land rover defenders and land cruisers but you can get tourist’s mini vans and other smaller vehicles. We do advise proper research before you make the final resolution on each aspect, its not all about how much you spend but are you getting value for money, what about having that peace of the mind while on tour? All will be possible when your operator defines the best travel itinerary packaged to reality from a site seeing trip and this why we are here to listen for you at Instinct safaris and together we tailor it into a life time safari to Africa. 7 Topmost trails for Kampala day and Night city experiencing tour to Uganda. Kampala city trip can be experienced before or after partaking your Uganda safari to the renowned wild places, tourists coming to spend their holiday on a discovery tour to the pearl of Africa-Uganda may find it quite rewarding to take off sometime and explore Kampala the capital and commercial city of the republic of Uganda. Our defined and tailored Kampala city tours are among the most exciting activities for tourists who want to feel the mix of wild and grasp the taste of urban attractions in Uganda. Kampala colours,is your favourite colour presented? These 7 topmost city trails identified by Instinct safaris will definitely offer you what you want whether you're interested in culture, there is a cultural trail introducing and welcoming you to the warmth of the Baganda people .Tourists on this trail visit Kasubi loyal Tombs, Lubiri ceremonial palace, Mengo which is the Parliament of Buganda Kingdom a traditional monarch system of government still ruling alongside the local and central Governments of the Republic of Uganda. What about time spent at Nagalabi a century coronation ground for Buganda Kings. One day Kampala city tour is possible with Instinct safaris: Tourists ready for Kampala city tour need to note, these trails can be tailored into asingle day tourist's experience in form of a one day tour of Kampala city. Kampala being the the capital city of Uganda is one of the top most travel destinations recommended to all nature of visitors to the region. On your Kampala one day city tour, you will be allowed an opportunity to visit the various tourist attractions within the heart of Kampala and the experience cannot be crowned without the time allowed to explore the neighborhood. Your Kampala day city trip itinerary includes tourists going to explore major cultural sites like Kasubi Tombs, Lubiri- the Twekobe House in Mengo, Nagalabi Coronation site and Banda to see the Kabaka’s palace. Among the identified trails is a religious trail which introduces tourists to religious sites in the city area like Namugongo Catholic Martyrs’ shrine, Namirembe Cathedral, Rubaga cathedral and Gadaffi National Mosque. Other trails feature tourist sites like the Uganda Museum and entertainment places/centres. Going beyond the ordinary: On our every Kampala city trip itinerary, we will entail our responsibility of a professional safari driver guide meeting you at the hotel/airport. Your expedition is started together around Kampala city during the day and in the evening you can decide to taste Kampala Night Life. What about visiting some of the more night clubs including club Silk, Angenoir and Ambience before retiring back to your place of residence/ hotel late in the night.Perhaps this can be fit for holiday makers, whether you’re on the business trip to Uganda, Kampala experience can be tasted after your meeting, conference or workshop. Feel free to contact Instinct safaris reservations in Kampala and we will tailor together something quite rewarding and comfortable for you, Enjoy reading these top most city trails of Kampala! 1. KAMPALA DISCOVERY CULTURE AND HERITAGE TRAIL. During your culture and heritage trails, you will learn that Kampala is considered the Center of Uganda’s culture. It is a home to the famous and ancient including the National museum, dance theaters, architectural monuments and outstanding universities. On this trails, tourists will conclude that Kampala is also the center of the Ugandan art scenes. There are a number of galleries exhibiting the work of modern and contemporary artists. Famous traditional crafts markets are in the city offering you a wide range of African crafts. These crafts range from metal works, hand-carvings, and paintings to mention but a few. What about the rapidly growing cuisine in Kampala?This has been influenced by creative cooking techniques from all over world. 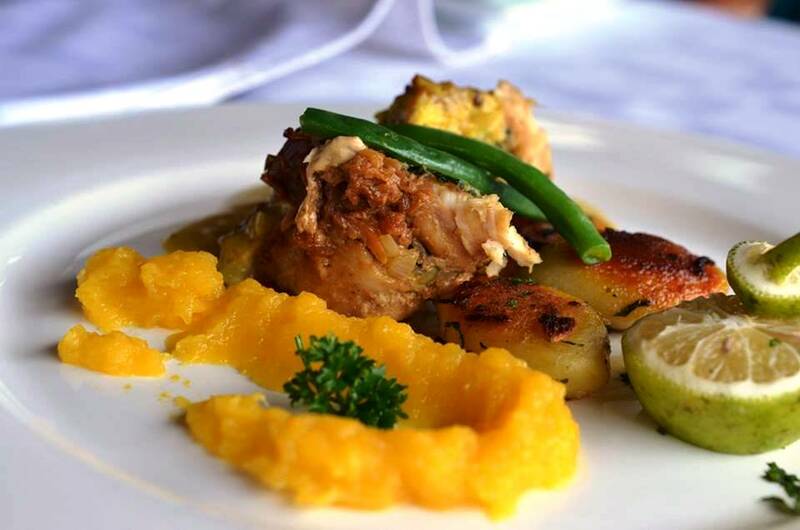 While in Kampala restaurants do expect to taste dishes that are uniquely prepared with natural aroma and true characteristics of Uganda. 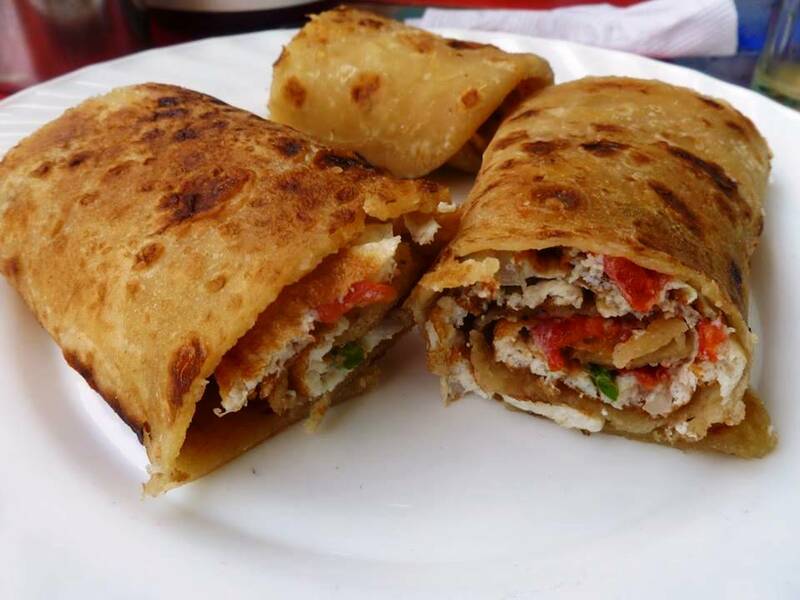 One of this kind is the famous Rolex, which is a mixture of fried eggs, tomatoes, cabbages and sometimes meet, all wrapped in fried dough commonly known as Chapati. Currently dominating the food markets in Uganda and elsewhere, you will find Rolex sold on roadside stalls giving joy for all street food travelers to Uganda. 2. KAMPALA ART & EXHIBITION TRAIL. This trail includes touring the national theater and the traditional craft village of Kampala. Visiting tourist enjoy the quality programs on this trails. Such programs are of music, film, dance and drama performances in the theater itself called as Theater restaurants. For most of our tourists coming here, the popular Kampala sites and sounds on this trail together with free outdoor events have been more colorful and a major attraction. Tourists on this day grab a Ugandan brewed local beer from home grown natural sorghum-Nile special beer and a chair to catch an informal open-stage jamming. The infectious Afro-fusion grooves and the rare hip-hop plus comedy do have it all for your memorable Kampala night. Tourists will stop to have a look, interact and possibly buy from a great selection of Ugandan and African crafts and souvenirs from all over Uganda. 3.KAMPALA RELIGIOUS TRAIL-THE PAST LIVES WITH THE PRESENT. Uganda is a religious destination with Christianity as the dominant, atleast everyone has where to belong. The minority of the 40 million population are traditional believers who are taken to be Pagans. On this religious trail, tourists will discover the impact of both pre-colonial and colonial time’s beliefs up to date. Kampala habours most influential religious sites on the African continent like the Bahai temple, tourists visit the mother Temple of the Bahai faith in Africa built between 1958 and 1961 on Kikaaya hill in Kampala. There is Rubaga cathedral the twin-towered Roman Catholic Church and is a memorial to the Uganda Martyrs-dozens of Ugandan Christian converts burnt to death by Kabaka Mwanga II in 1885 and 1886 for refusing to renounce the white man's religion. Next to visit is the Old Kampala national mosque on the oldest hill in the city offering unrivaled 360 degrees views of Kampala from the Minaret. The Mosque is regarded as the largest in Africa, reputed to have enough space to accommodate 35,000 worshipers at any one time. Time will be spent to visit N amugongo martyrs shrine-a basilica dedicated to 22 young Christian congregants who were brutally murdered between 1885-1887 by Kabaka Mwanga for their allegiance to Christianity. Next is ST Paul’s cathedral namirembe Church headquarters for Namirembe Diocese, this is the oldest diocese in the province of the church of Uganda and its centrally located. It started in 1897 as the diocese of Uganda until it acquired the Name Namirembe Diocese in 1960. 4. KAMPALA MONUMENTAL TRAIL. Kampala has many free and easy to access monuments that include those in the city center and a few on the outskirts. Dont leave Kamapala without paying homage to these fabulous sculptures the country has to offer. Below is a list of monuments in Kampala. EDUCATIONAL MONUMENTS,Most universities and a few colleges in Uganda have got at least a monument (s) symbolizing the role of education.The education monument at Kyambogo University in Kampala depicts three children striving to touch a book. The monument was built in celebration of the 100 years of the education sector in Uganda. NANTAWETWA MOURNUMENT. Nantawetwa Junction honors His Majesty the King as He travels from His palace (Lubiri) to His office Bulange/ Parliament, He must pass through this roundabout with subjects on the sides. Nantawetwa. The name, which means the one who cannot be bent or coiled, is one of the kings many titles. Consequently, no one else beside the king is allowed to pass through the Nantawetwa. The roundabout had seen many structural adjustments till the recent long drum monument. Its located in the middle of the Royal Mile road. The Monument and its Facts The monument stands at 11 metres in height, 3 metres diameter split into two (2) and 3m deep. The large two halves of the long drum hoist a shield with two spears representing the historical symbol for Buganda mighty protection against adversaries. The design also includes all the clans totems on the base of the drive way. The two halves seat on architectural based like tree trunks. THE STATUE OF LEADERSHIP. The Statue of Leadership situated outside Amber House (Kampala road) may be considered as a cerebration of one of Uganda's major milestones - the introduction of electricity. Situated overlooking the Kampala road, the Statue of Leadership sculpture depicts Sir Apollo Michael Kawalya Kaggwa, who is perhaps best known for his vision and foresight in accelerating the kingdom’s development. THE CENTENARY MONUMENT. The Centenary monument located at the popular Centenary Park in Kampala, along Jinja road and neighbouring Hotel Africana, was erected to commemorate a centenary of Kampala City Council's (the city planning and administrating body) existence and its contribution to social economic development of the city. The 6ft Centenary Monument of a treadmill protected by shields signifies progress. This memorial is also depicted on Twenty Thousand Uganda Shillings note (2010). WORLD WAR MEMORIAL MONUMENT. The World War Monument is reputed to be the oldest monument in Kampala. It was built in 1945 by the British colonial government.The monument standing at the Constitutional Square in Kampala near the fence of the Uganda High Court was built during the British era in memory of Uganda soldiers who died during the 1st and 2nd world wars. The 5ft monument is also depicted on the front side of the Uganda Shilling Five Thousand note (2010). SIR. EDWARD MUTEESA II MONUMENT.The Sir Edward Muteesa II Monument is situated next to the Independence monument at the junction of Speke road and Nile Avenue. Overlooking the Post Office Kampala, the monument was built to pay tribute Edward Muteesa II (first president of Uganda) for his invaluable contribution to Uganda’s independence. THE STRIDE MONUMENT. Situated between the Uganda Parliament Gardens and Kampala Serena Hotel, the Stride Monument, was built in commemoration of Uganda hosting the Commonwealth Heads of Government Meeting (CHOGM) in 2007 and was unveiled by the Queen of England during the CHOGM summit. The Stride Monument is estimated to be the most expensive monument in Uganda with the work of its construction costing the country over Ush 150 million. Won't you find this walk quite memorable? Which is your best place to eat Pizza in Kampala? Uganda Crafts 2000 Limited: Uganda Crafts 2000 Limited is a Ugandan owned Fair Trade Craft wholesaler and retailer. They offer design know how and any of the ideas to artisans to keep their products up to date and competitive. Freedom City Mall. Freedom City mall is a one stop shopping mall located in Namasuba along Entebbe road far enough from the city centre traffic and noise but near enough to be accessed by all. This mall effortlessly blends business with leisure in a comfortable atmosphere, ample and safe car parking and good security. It is indeed a City of its own! Nommo Art Gallery: The Nommo Gallery, founded and established in 1964 by the 1959 Act of Parliament, is Uganda’s National Art Gallery and a component of the Uganda National Cultural Centre (UNCC). The Nommo Gallery features exhibitions of works of art by both Ugandan and foreign artists. It sits in a secure location in the heart of Kampala City just next to State Lodge at Nakasero and boasts of an impressive assortment of african craft and art masterpieces from paintings, batiks (tie-and-dye), ceramics, art prints, photographs and sculptures, among others. Speaking Roses: They hold an official licensee of Speaking Roses (based in Utah, U.S.A.). This company mainly deals in floral branding (plus floral arrangements) and customising gifts. With an advanced technology it allows them to print any message, any logo and even any photograph on live fresh flowers (mainly roses, lillies and floral leaves). Flowers and Gifts Uganda: Their Gifts and Flower section is designed to ease gift giving - you can choose from a wide range of high quality gifts such as flowers, gift hampers, perfumes, chocolate and various works of art. Because they are open till late, you can order last minute gifts - and have them delivered to your loved one in time. Rusadia Florists: At Rusadia Florists, they let their flowers, do the talking when words cant say it all. Don't wear Rolex but eat Rolex in Kampala. Quality Shopping Village: This supermarket chain owns and operates four supermarkets in Uganda; all located in Kampala, the capital of Uganda and its suburbs. Quality Supermarkets/Malls are among the largest locally-owned supermarket chain in the country since 1980. Oasis Mall: Nakumatt Oasis Mall is the only shopping mall in Uganda that operates 24 hours a day, a joy to Ugandans who love late shopping and night travelers. The Nakumatt Oasis supermarket sits in the Oasis mall- a very large business complex.There are many other shops and service providers within the Oasis Mall like; Tours and travel operator's offices. Forest Mall Lugogo: Forest Mall is located on Lugogo By-Pass, Kampala. It has business centres like Stanbic bank, Standard Chartered bank, Bookshops, Clothes and fashios boutiques, Children clothing stores, Furniture stores, health and beauty parlors,, Outfitters, pharmacies, Smart TV satellite television offices, Sports goods shops, and telecommunication company service centres like MTN Uganda and Orange Uganda Limited. A few coffee shops like Simba cafe and electronics shops can also be found here. Ham Shopping Mall: Ham Towers is an A-class Shopping, Accommodation and Leisure Center with Offices,Shops, Uganda's New Turskys Supermarket,Fully Furnished Elegant ,Stylish and Serviced Ham Suites,and Blessed with a fiver Star Food Court : Where you find all International Dishes. Ham Towers is a new definition to the economic and tourism/hospitality sectors transforming Makerere and Wandegeya and Kampala City as a whole. Exposure Africa: Welcome to Exposure Africa...The largest of the city’s African crafts villages’, stocking woodcarvings, drums, sandals, batiks, basketry, beaded jewellery and ‘muzungu’ t-shirts. All creations at Exposure Africa are skillfully and beautifully made, you will be overwhelmed with what to and what not to buy. Though most items have price tags, your bargaining skills could get you your desired product more cheaply. The Village Mall-Bugolobi: The Village shopping mall Bugolobi is now the first home of Internationally renowned fast food chain, KFC. Coffee lovers can also savour the rich taste of their coffee at Java House. The Village mall's diverse tenant mix caters to the needs of all with options such as clothes and fashion shops, Children clothing,health and beauty centres, Telecom service centres, sports bar, gym, pharmacy,wine lounge, book shop, spa diagnostic center, mobile phones and electronics, fine dining and a modern food court. The Acacia Mall: A quality development in every aspect, Acacia Shopping Mall (35,000 sq.m’s) encompasses lifestyle and value with a vibrant mix of home, fashion, fitness, food, service, leisure and entertainment offerings, and will render the shopper spoilt for choice. This splendid shopping and lifestyle destination is any shoppers stop of choice for health and beauty solutions, children clothing;a variety of clothes and fashion shops are also found here. Owino / St Balikuddembe Market: This is the busiest market in Kampala, which sprawls around the Nakivubo Stadium, near the taxi parks. Here you can find all sorts of goods for sale, but it is most popular with travellers for its wide range of second-hand clothes from Europe, Asia and the USA. Bargain hard, as they tend to raise the prices when mzungus (white people) are sniffing around. Uganda Golf Club: Uganda Golf Club, the home of golf in Uganda. Located in the heart of Kampala City, Uganda Golf Club offers a fair test of skill and patience. Standing on the first tee, one feels removed from the hustle and bustle of city life. Set in a valley, the course follows the contours of the land with the Kitante stream running through the middle. Uganda Golf Club is a traditional, tree lined, parkland course, with its signature undulating fairways. The course offers a wonderful experience to members and visitors alike. The Club is supported by a Professionals Shop, a delightful restaurant and friendly bar. The establishment is managed by a well organised team of employees and committee members. The friendly atmosphere at Uganda Golf Club bonds everyone together. Lugogo Stadium / Startimes Stadium: Located on Jinja Road / Kampala Road within Kampala city, the stadium holds population capacity of 3000 people. It has an Artificial Turf surface and was established in 1957.It’s also known as Lugogo Cricket Oval and is a cricket ground in Kampala. The first recorded match held on the ground came in 1957 when Kenya Asians played Sunder Cricket Club. 7. KAMPALA GO-CLUBBING TRAIL-KAMPALA NIGHT LIFE TRAIL: Come discover Kampala at night, the city that never sleeps with time spent at your favourite bar, restaurant or night clubs. There is quite a number of Ugandan clubs and pubs to the most happening with people always ready to make your night the best, – Uganda’s night does not end until you're into the next day. 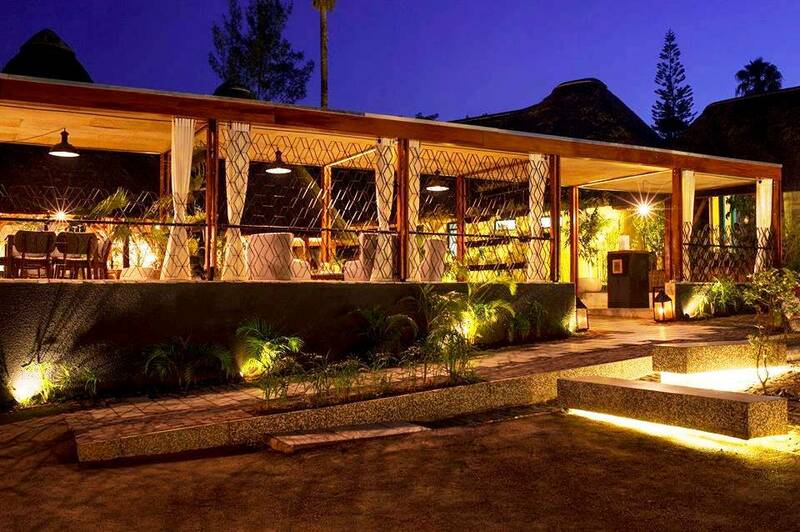 Few Cities across the African Continent can rival the Nightlife of Kampala- some have branded it the “The City that never sleeps” Below are some places where foreigners and affluent locals frequent when going out at night. Nyondo Club is one of the well-constructed club in Kampala Uganda with good parking and ample space. It located on Kampala Entebbe road in Najjanankumbi. Bubbles O’learys Known as the most happening Pub & Nightclub the Pub offers excellent Food Menu, Spacious Outdoor Yard equipped With an Outdoor Bar, Pool Table, Ample Seating & the perfect ambiance. Dons Club Kampala For good music, continental and local food, drinks, pool, meetings and parties at Dons Club and Restaurant in the middle of the Kampala City. Guvnor Uganda. Guvnor is Kampala’s Premier Nightspot and Uganda’s finest Nightclub. Club Ambiance Kampala Club Ambiance is located at Bukesa Hoima road, the new ultra modern nightlife entertainment spot is open with lounges. Club Play Play is a nightclub experience unlike any other. One of the most versatile venues in town with over sized dance floor, massive LED lights and 30-foot bar. Club Amnesia Club Amnesia is Open 5 days a week, Amnesia offers a fresh experience to Kampala Partiers. With each day comes a totally different and fresh Theme Night that stretch across all sections of society especially the youth and middle class for instance every Tuesday there is a 3 hour Live Band session, Wednesday Nights are dedicated to our Ladies and as such is dubbed the Spicy Divas Night, Thursday is the Urban Campus Dance Fest which targets mainly students at the University level and Tertiary institutions. Every Friday is the Office After party. Saturdays are however not constant to a specific socio-economic group or theme night. Every Saturday comes with a unique theme party and targets mainly all fun loving adults. We have provided this information and hope will will help you to prepare how to enjoy the best of Kampala city tour, however we don't guarantee as proper research is essential for every safari goer.We will wait for your inquiry to tailor down such an experience together.Karibu! Visiting Uganda:The impact of your menu tonight for the best ultimate Gorilla Encounters. The Hotel, the Gorillas and Local People (HOGOLO): How ideal a Plate can determine your long time ultimate Gorilla Tracking experience? Every tourist coming to the gorilla lands is concerned about the level of fitness, through all our reservation inquiries involving Mountain gorilla experience we pay more attention to such queries. Yes this is vital for the tourist's advance preparation and comfort while on the wildlife trail to the gorilla encounter. Time expected while trekking into the tropical forest's rich mosaic of canopies is your right time to think about how ideal a Plate can determine your long time ultimate Gorilla Tracking experience. Gorilla Tracking currently considered as the greatest adventure on the planet is quite rewarding and demanding of-course! tourists spending one hour to a whole day inside the natural forested canopies of Uganda need to spend 600$ for apermit plus how deep inside the forest mountain gorillas can take you. This is definitely what we can reffer to as one of those rare and wild safari experiences every person wouldn’t like to miss especially foreigners. To proceed, let us all look at how influential a plate might be when it comes to the best safari experiences for your great wildlife tour? It all starts with sorting natural and delicious ingredients. 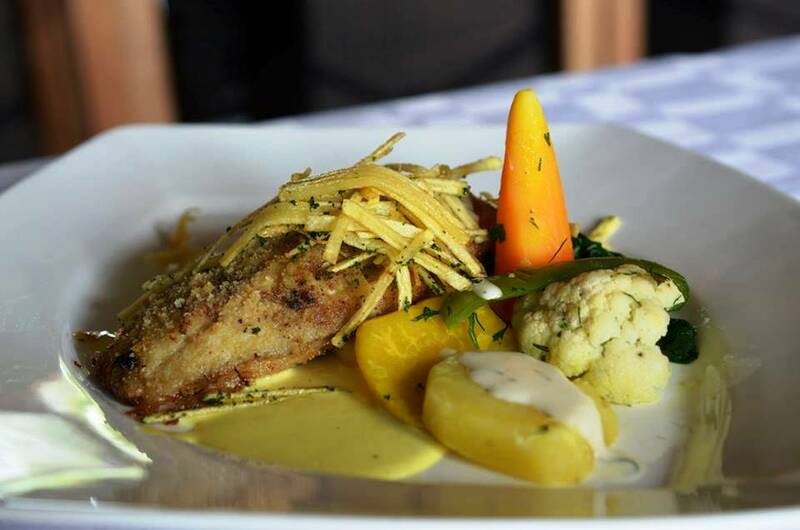 Proper food for best Gorilla trekking:Did you bother to think about this before? Please note that Mountain gorilla trekking activity may last from one hour up to 8 hours inside the forest, during this time you will need refreshments and eats. Sad thing is you won’t find any spot to buy eats or drinks inside the forests, you’ve one option to only pack food and drinks. We always recommend having healthy meals on the days closer to your gorilla trek, a heavy breakfast in the morning at your lodge before leaving your places of accommodation. Wildlife enthusiastic tourists coming to Uganda love to encounter these gentle giants in the wild on every stay in Uganda. A gorilla trekking experience will always be memorable, rewarding and we recommended you to know some tips before you get on to start planning for your gorilla trekking holidays to Uganda. The best of an African safari experience is not derived from the plight to only pack bags,this involves research about your destination, activities packaged to an itinerary contrasting asite seeing tour to be areal lifetime trip.To crown this idea,we bring to you the value of the kitchen, the chef and aplate when it comes to expect the best of your safari out in the wild places of Africa. How clean and organised this is?do you take time to visit the kitchen and meet your chef? Uganda wildlife authority put in place some rules and regulations for you to enjoy the best of your lifetime gorilla experience, however more have been discovered as we operate and its the choice of the tourists or an operator to think beyond the common box when it comes to putting up alifetime tour. Instinct safaris has been conducting responsible Eco-tours in Uganda, Rwanda and D.R.Congo for decades. Am sure you will believe me when I say that our team spirit of Eco-tours is quite older than Instinct safaris company, some of our members were born in the gorilla highlands, grew up with the gorillas relations and are now on the frontline to advocate for activism for the sake of wildlife conservation, people and the Gorillas. To uplift this Eco-Flag quite higher was the birth of Instinct safaris more than 10 years ago. Every tourist want to travel happily and when it comes to happy travelling,this is the offspring of proper packaging.Perhaps a good tour operator is the one who thinks beyond the common tourist norms when it comes to putting up an itinerary and this is where Instinct safaris earn a credit. After booking your mountain gorilla tracking permit through us, your time is meant for meeting people who will take you into the wild places to see Mountain gorillas. We take a gorilla encounter to be a three in one life uplifting tourist experience; this encompasses the Hotel, the Gorillas and Local People (HOGOLO). The shortest Uganda Gorilla experience must be for three days, after your arrival to Uganda, you’re transferred to your hotel for the First overnight. The next morning will have you ready to track the Mountain gorillas and this experience cannot be 100% complete when you’ve not spared time to meet, interact and discover the authentic cultures of the local forest people who kept the forest biodiversity for you! Through our tailored safaris sections, we will be able to communicate more just keep in touch. 3 in One: The Hotel, the Gorillas and Local People.Now let us have alook on the value of a plate at your hotel, time to encounter the gorillas in the forest and the local people who will happily welcome you and show you their amazing landscapes. For your mountain gorilla experience in Uganda to be truly rewarding and quite memorable, before meeting the Gorillas it’s a must you first meet people.These includes your safari guide, the hoteliers like the chef etc, the next will be your time to the ultimate gorilla encounter.Please note, this trekking is not the act of just viewing but instead is called tracking because its a process of following part of the natural forest where there is no path before with interests to conserve, learn, photograph, supoprt and enjoy. During your gorilla tour,together with your rangers, porters and the gorilla you all leave a trail in the forest which will regrow to coverup because its used once hence tracking. The energy it requires for you to leave this trail is a good reason why a plate a day before is a determinant factor to your successful gorilla tracking. You will climb, slope, slip and cross fallen trees more often, but don’t mind this time a porter makes sense. Apart from carrying your rucksack with a packed meal, they offer some help in case of a pull or a push don’t hesitate to let him/her know. Among the gorilla rules and regulations, there is one saying you’re not supposed to visit mountain Gorillas when showing any sign of sickness or body illness, on rare occurrences there are tourists who get cough, fever and stomach boils because you ate a bad meal during the course of your itinerary and imagine this happens on your day before meeting Gorillas. Your time to encounter mountain gorillas will be cancelled because of this with no substitute and refund by UWA and imagine losing the permit with all hard earned savings of 600$? 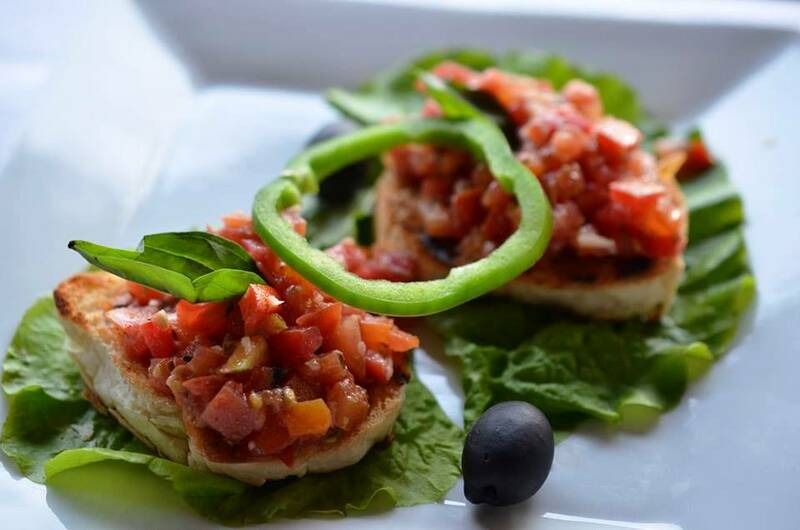 There are more reasons to Mind about aplate during your travels. Don’t we all take now the chef to be a determinant factor during atrek into the wild? On you visit to the hotel, get time to visit the kitchen, meet the chef and see how things are going over there. These guys are very important, do a great job but it's very sad. They only smile to gas cylinders, stoves and most of their talking is to chop..cop...chop! They will appreciate your attention and smiles. Among the regulations and rules to the gorillas, we at Instinct safaris have added that Eat well definitely a balanced, delicious and Healthy meals, Pack Enough Food and safe Drinks for your Mountain gorilla tracking. This activity may last from one hour up to 8 hours inside the forest, during this time this time you will need refreshments and eats. Sad thing is you won’t find any spots to buy eat or drinks inside the forests, you’ve one option to only pack food and drinks.We always recommend having healthy meals on the days closer to your gorilla trek, a heavy breakfast in the morning at your lodge before leaving your places of accommodation will do you atrick. Karibuni Africa!